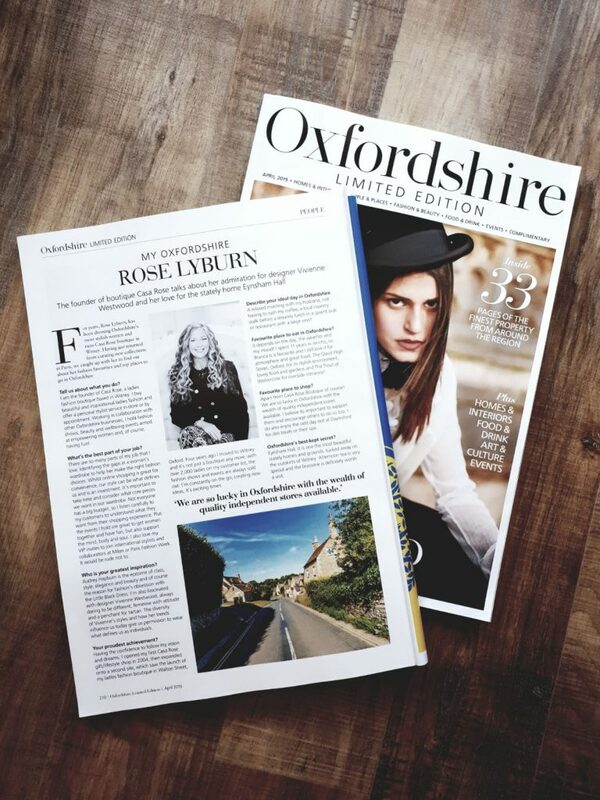 Rose Lyburn Interview in the April Issue of Oxfordshire Limited Edition Magazine! 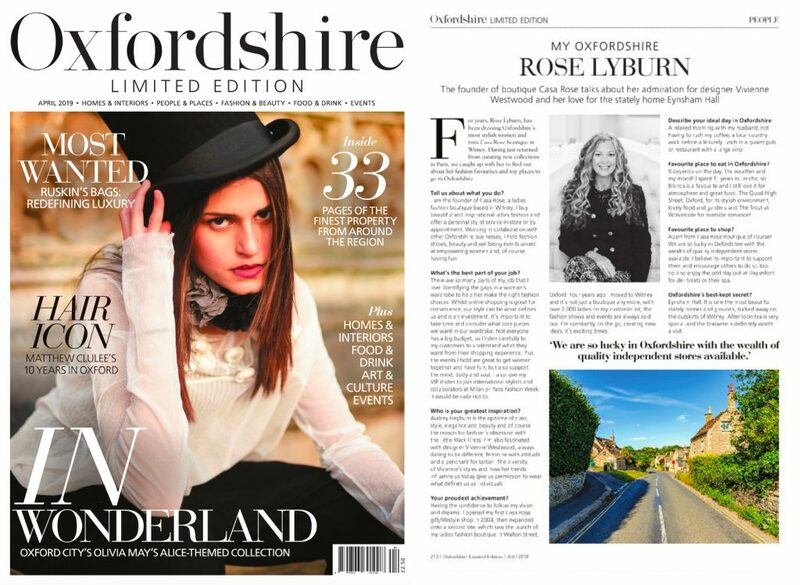 We are absolutely thrilled to read the in-depth interview of Casa Rose Founder, Rose Lyburn, featured in the April Issue of Oxfordshire Limited Edition Magazine! Thank you to the Oxford Times for this wonderful feature. Portrait by Photographer Sam Bennett, Make-Up by Katie Reedman @ Honest Makeup. Previous Previous post: Casa Rose goes to Milan Fashion Week!